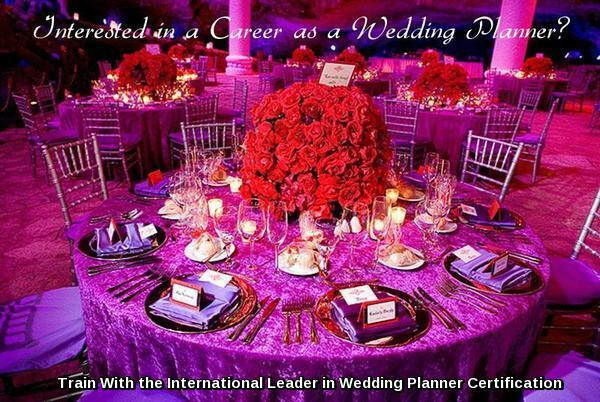 The Wedding Planner Course and Certification Program offered by The International Institute of Weddings is one of the longest established training and certification programs for professional wedding planners anywhere in the world. 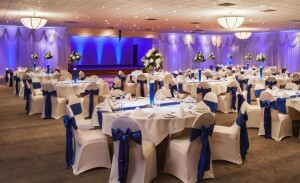 For full details about the course, please visit the Wedding Planner Course page. A leader in wedding planner education and certification, The IIW course is one of the first programs ever developed for professional wedding planners, back when there were only five such courses available anywhere world-wide, making it one of the longest running wedding planner certification programs in the industry. Continually updated and revised to keep up with industry changes, , it offers the benefit of the most current training for wedding planners, combined with nearly a 20 year track record of success. For almost two decades, the IIW Wedding Planner Course and Certification Program has been looked to as a model by many other courses in the industry and around the world. The Wedding Planner Certification Program from The International Institute of Weddings is continually updated and revised each year to keep up with the latest industry changes. The program was initially developed by internationally recognized wedding expert Linda Kevich back in the 1990’s when the field of professional wedding planning was still in its infancy, and it has evolved and grown since then, along with the profession itself.Course founder and developer Linda Kevich has been cited as a wedding expert in 100s of newspaper and magazines including USA Today, The New York Times, Consumer Reports Magazine, Bride’s Magazine, and many others. The media have labeled her a “wedding guru” and have featured her right alongside major figures in the wedding industry like Collin Cowie and Martha Stewart. Linda Kevich has made weddings her business since 1991, when she first launched her own successful business as a wedding planner. At that time, few people were familiar with the concept of a professional wedding planner, which made it extra-challenging to launch a business in this field. But Ms. Kevich was a visionary who predicted that there was a definite need for this type of service within the wedding industry. Driven by a passion for weddings and a proven natural ability to accurately predict what brides want, she was confident that the concept of professional wedding planner had a needed place in the wedding industry and would ultimately grow into a more widely recognized field. She forged ahead, as one of the early pioneers in the field of professional wedding planning, building a very successful wedding planner business in the process, despite the many obstacles to overcome at that time. Obviously, her instincts were spot on. Not only did she carve out success for herself as one of the early leaders in the field of professional wedding planning, but more than 20 years later she has trained and mentored thousands of wedding planners around the world for their own successful wedding planner careers. Today, professional wedding planners are a common service provider at today’s weddings just as Ms. Kevich expected would be the case back in 1991 when she got her start, and almost everyone today is familiar with the concept. Wedding Planners have gone from virtual obscurity to mainstream media and are now regularly seen in movies, on sitcoms and reality TV as a part of popular culture. In 1998 Linda Kevich brought her wedding planning expertise to the internet, sharing her creative wedding ideas, money saving tips and etiquette advice online, free of charge on her website SuperWeddings.com, with the aim of sharing her wedding expertise free of charge for couples around the world. Soon her advice was attracting millions of readers of visitors per year, including brides, wedding professionals who inspiration from her for the weddings they worked on, and the media who flocked to her as a expert source for their wedding features. SuperWeddings.com quickly rose to become one of the most popular wedding related sites online, a position it held for over a decade. It wasn’t long before people from around the world with a passion for weddings began seeking her advice, mentorship and coaching to launch their own wedding businesses and break into what was still the very new field of professional wedding planning. After coaching many aspiring wedding planners privately to achieve great success, and receiving ongoing requests to develop a course based on her knowledge, she recognized a need for an in-depth and detailed, practical, fully-comprehensive training program that would properly prepare aspiring wedding planners to professionally plan and execute weddings for paying clients. Moreover, she recognized the need to teach aspiring wedding planners the business of weddings, based on her own extensive business experience and success in the field of professional wedding planning. The Institute of Weddings course was the very first in the industry to put the appropriate focus and proper level of training into the business behind wedding planning, filling a glaring hole that was left wide open by the small handful of other programs that we available in the industry at that time. The International Institute of Weddings certification program quickly rose to become the leading wedding planner course and certification program in the world for wedding planners, and since that time has influenced the way wedding planner education is provided. Countless other courses have looked to Ms Kevich’s program as a model in developing their own programs. It is this background that truly makes The International Institute of Weddings the gold standard in wedding planner education. Ms. Kevich has been approached by major publishers to author books on weddings, and was invited by the E! Entertainment Network to host a TV show on weddings – all offers she declined, preferring to maintain her focus and priority on delivering training, coaching, education and certification in the wedding industry. When you enroll in the IIW wedding planner course and certification program, you are learning from a true leader in the field of wedding planner education, with well over twenty years of experience and credentials within the wedding industry for you to benefit from.